Green Prophet looks to ancient Iran for some current alternative ideas to electricity-powered air con. Catch the wind with the bagdir wind tower! The concept of “green building” has taken off in Israel over the last few years. The need for ecologically efficient housing and offices is becoming more urgent as the cost of heating and cooling skyrockets and water becomes ever more scarce. But environmentally-conscious buildings have been around much longer than the modern environmental crisis. 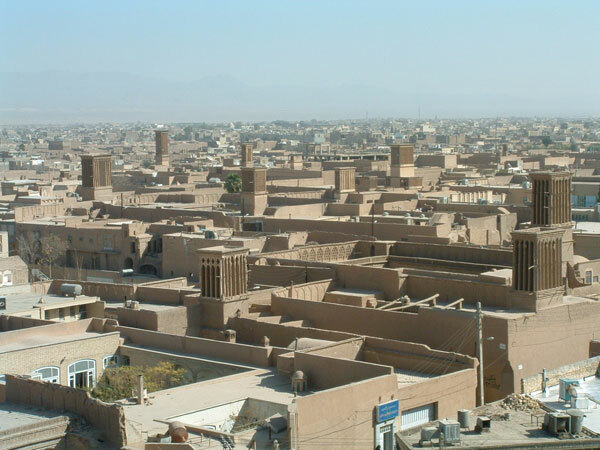 Outdating gas-guzzling air con units by generations, bagdirs – or windcatchers – have been cooling down the people of Yadz, Iran, since the 19th Century. These towers spike the skyline of the Iranian desert city like antiquated skyscrapers. In the current edition of Green Building Magazine, Sue Roaf explains how the stone structures channel wind down into a shaft which in turn cools or heats the rooms below, allowing them to remain comfortable all year with zero carbon impact. As well as using smart technology, the windcatchers of Yadz’s success depends on effort from the building’s inhabitants too. People can reduce their energy use by what Roaf calls “occupant behaviour strategies,” for instance, moving to warmer or cooler rooms. In the summer, when temperatures soar to over 40 degrees C, this means using the ground floor in morning and evening, whilst escaping to the roof at night – a popular pastime in cities like Tel Aviv. Other strategies include watering floors, wearing lighter or warmer clothes, or – my favourite – taking an afternoon nap in the heat of the day. But the bagdirs of Yadz do have their dark side. Though partly funded by the silk trade, most of the windcatchers owe their existence to local merchants who made their fortunes from the British opium trade to China during the Opium Wars. Top photo by soyignatius. Lower photo via ibchamber. Lower two photos via make blog. 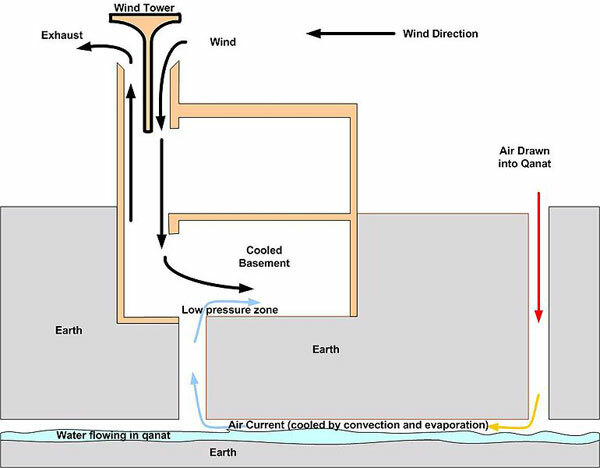 “Lessons on natural ventilations from the wind catchers of Yadz,” Sue Roaf, Green Building Magazine, Spring 2010. Please do something about these argumentative, angry individuals who leave rude-toned messages–as above. Repeated, continuous arguments posted as information by such people are a waste of time for the rest of us. Their mean tone takes away from the information good people exchange worldwide. Simply block them from posting, please. Thank you. Enjoyed this technology post very much. Thank you. This is really amazing. I used to live near Joshua Tree out in the California desert where swamp(evaporative) coolers and air conditioning were most common, this ancient technology if used properly out there would work well, I bet, especially in very windy areas like the village of Morongo Valley where I also had a house. My apologies if I misspelled that. “cooling down the people of Yadz, Iran, since the 19th Century” ?!! Badgir (not bagdir)has long history. In 1969 Masouda found old cooling systems in north of Shahroud in north-east of Iran, which showed that some old types of Badgir was used in 4000 years ago in that region. But the Badgirs of Yazd (not Yadz, Rouben is right)are also quite old. 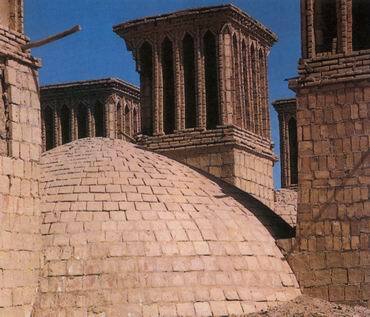 There are existing Badgirs in Yazd that are built in 14th century and are still working. There are Badgirs, which are built by Persian immigrants to Dubai and Bahrain in those lands in 19th and 20th centuries. it is famous no famouse. hope you got it F A M O U S.
thanks for the correction, you can save the arrogance for elsewhere.